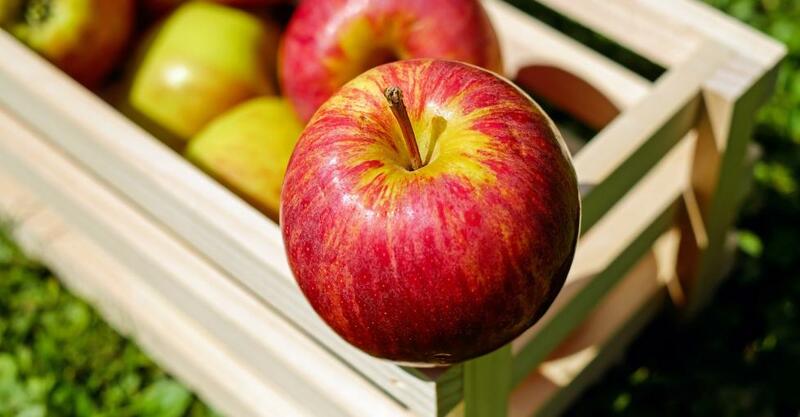 The best place to start is Wayne County, the largest apple producing county in New York State! 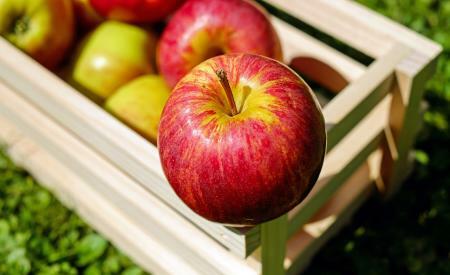 They are also home to the Wayne County Apple Tasting Tour, an annual October tradition that allows you to taste different apple varieties and products across orchards, farm stores, wineries, cideries, and even a distillery that uses local apples in their spirits. First opened in 1911, Beak and Skiff Orchards has since grown into the #1 apple orchard in the country (voted by USA Today readers). Their main location, known affectionately as the “Apple Hill Campus” is home to the orchards, Country Store, 1911 Ciders and Spirits, Tasting room, tavern, treehouse, and more. Suffice to say- the whole family will love it. 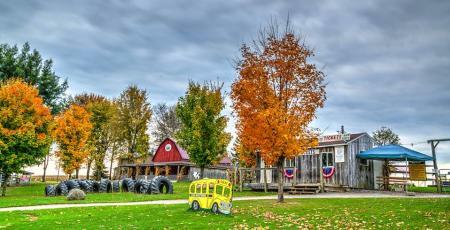 Let the kids blow off steam on the treehouse or with pony rides before grabbing a bite in the tavern or taking the tractor into the u-pick orchard. For the adults, sampling hard cider and spirits in the tasting room is a must. Feeling snacky? Grab a freshly made apple cider donut before heading back outside for more fun. Originally a fruit farm from the mid-1960s, Apple Barrel focuses on delicious apples and grapes that are used for juices and wines. 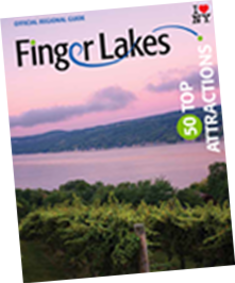 Nestled on the northern shore of Keuka Lake, visitors can pick concord grapes in September and apples from early September through mid-October. On the weekend, grab a bite at the food truck or ask inside for one of their apple-based recipes - like apple brownies! Owen Orchards has acres of apples and bushels of fun! Take a classic tractor ride into the orchards to fill your basket with the best-looking apples before heading inside to sample their house-made cider and cider donuts. Their farm market is a stop on the Finger Lakes Sweet Treat Trail and home to barrels of local produce. For over 40 years, the Apple Farm has been producing the best fruit of fall. Visit between mid-August and the end of October to find your favorite variety of apples. 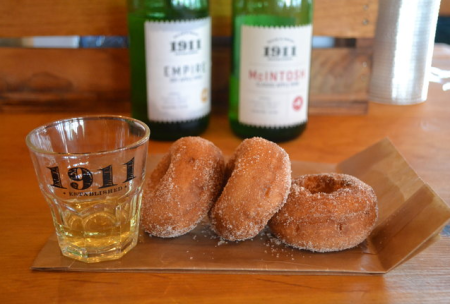 Stay a while and enjoy a tasty cider donut, cup of fresh-pressed cider or even a round or two of disc golf! The best part? The farm utilizes power created by wind turbines, reducing their carbon footprint and furthering sustainable agriculture. Tucked in the hills above Cayuga Lake, this winery and orchard is a hidden gem. Step back in time when you enter their store, decorated like an old filling station. Then head out to the orchards to pick apples or pull up a seat to taste their apple and other fruit wines. They make cider donuts fresh in-house daily during the fall and offer a selection of local goods to visitors as well. You won’t leave here empty handed! What started as a small pumpkin farm is now a local staple for the Rochester and Finger Lakes community. Wickham Farm planted 6,000 apple trees between 2014 and 2016 to ensure fresh, delicious apples for everyone who visits. Guests can explore the orchard and pick their own apples before heading off to play mini golf or jump on the jumping pillow. The apples are yours to take home or fire out of the apple cannon! More than just an apple orchard, Long Acre Farms also boasts a farm market, ice cream shop, and winery too. Ride a wagon around the grounds, get lost in a giant Maize Maze, shoot a pumpkin out of the pumpkin cannon or mine for gems! Then head off for an on-site wine tasting at JD Wine Cellars or a sweet treat like a candied apple in their farm market. Located on the shores of Seneca Lake, Red Jacket Orchards promises beautiful views to complement their amazing apples. This local apple farm began in 1958 and has grown into a 600-acre family orchard, nationally known for its cold pressed juices. Guests can browse the farmstore and shop their many juices, cider, and apples. More than your average orchard! Cornell Orchards serves as a living laboratory for Cornell students to learn hands-on about fruit production. 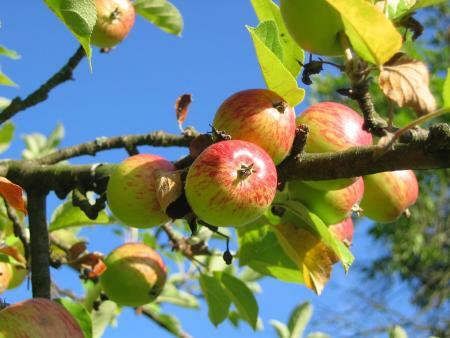 In 2013, Cornell Orchards unveiled two new apple varieties, SnapDragon and RubyFrost. While U-Pick isn’t allowed here given the orchard’s status as an active lab, guests can buy fruit from the orchard, as well as other fresh produce and locally produced goods.